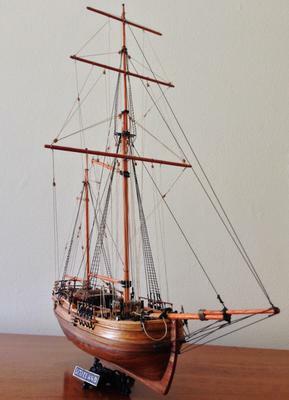 This is my first attempt at building a model ship. I worked for 5 months from start to finish. The kit instructions were not very detailed, except for the drawings. I am not sure what project I will attempt next. I didn't take a lot of pictures during construction, next time I will take progress photos! 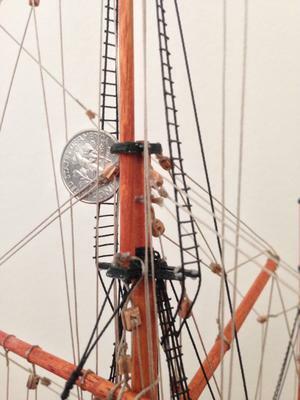 I learned a lot during this model build, and spent as much time researching ship construction and ship building as I did actually working on my model. 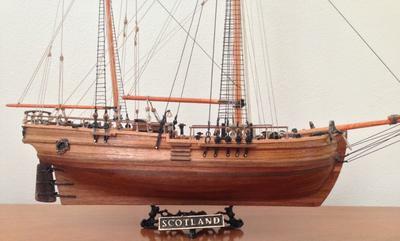 Here is a link to other pictures of the ship and detail shots. Hi Rob. 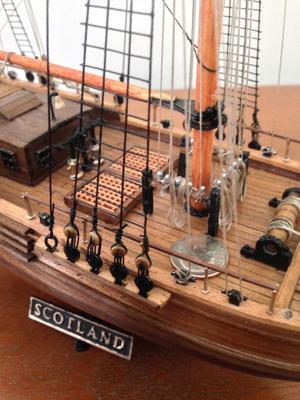 If that is your first attempt at model boat building, then you have done an excellent job. It does take a lot of time to build a model & the research you do seems never ending. I design my own boats & build them up from there my boats are RC controlled. I was a marine diesel mechanic & done quite a lot of building on new fishing boats & repair on damaged hulls, so I have a bit of experience on my side. Keep up the boat building it gets you in after the first one. My two boats are on this site. The Holly Lauren & the Emily Clair both fishing boats.